IMPAK's Large Frame Horizontal & Vertical Impulse Sealers are industrial-grade machines constructed from welded steel. 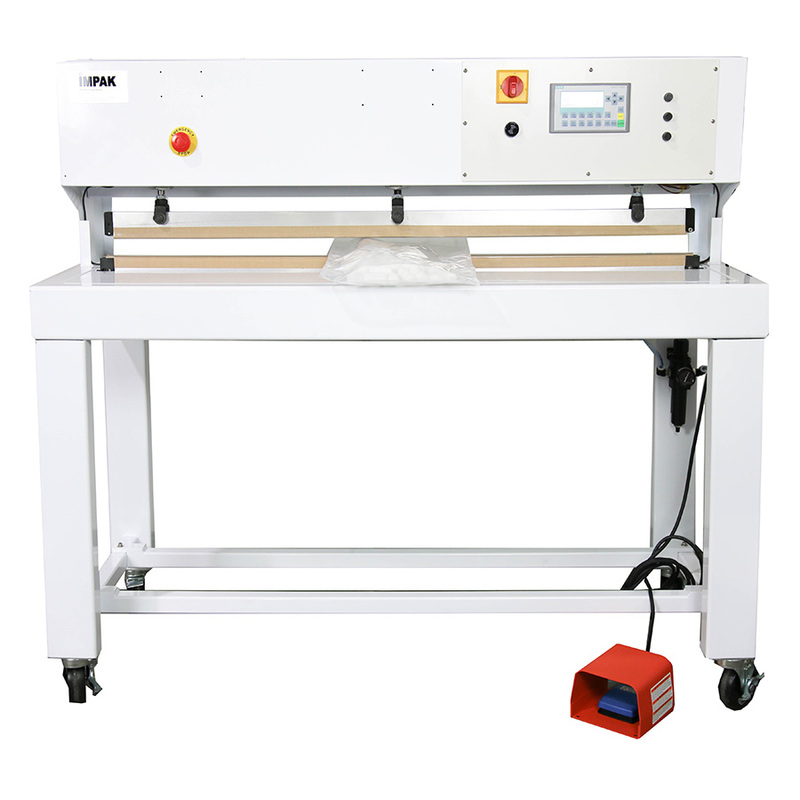 All bag sealers are pneumatically powered and calculated to provide an airtight/watertight seal. Each bag sealer unit features a low pressure safety close and redundant emergency stop features. These models can be constructed as tabletop units or in seal lengths of up to 240 inches. Each bag sealer is ideal for sealing ranges of material including polyethylene, laminated films, nylon and even PTFE. Sealers are available in either standard thermal impulse or with repeatable and verifiable controls for medical or specialty applications. Every IMPAK sealer is an ideal replacement for all VERTROD & PAC machinery. 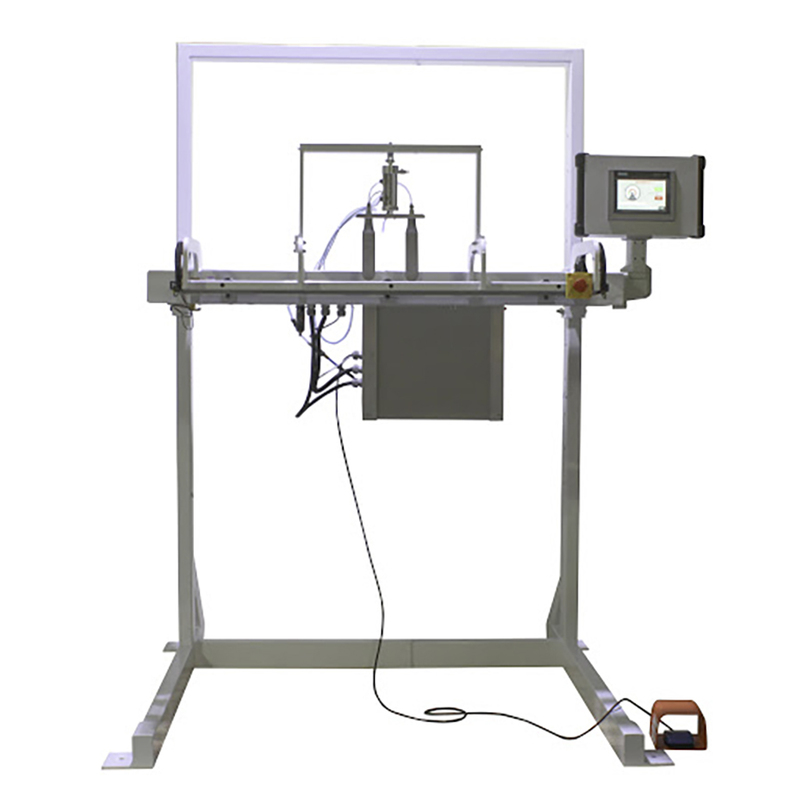 Available Sizes: 24", 36", 48", 60", 72", 84", 96", 110" 120", 210"
Vertical Impulse Sealers- Are ideal for tall packages or freestanding liners in drums or boxes.The sealing jaw is height adjustable and perfect for manual or conveyor operations. Available Sizes: 24", 36", 48", 60", 72", 84", 96", 100", 110", 120"
Need precise control of time, temperature and pressure? 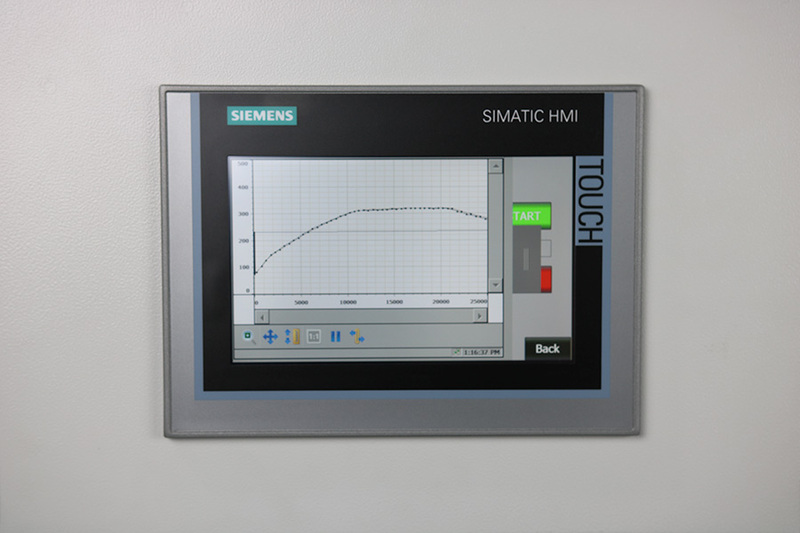 Advanced Siemens HMIs with Settings, Auto and Manual Test Menus. Touchpad or Touchscreen operation. For legal reasons we claim “±3” degree temperature accuracy, but most tests show accuracy of ±1 degrees F. The system takes temperature readings every 1-2ms. Pressure control with 0.1PSI consistency and high tech proportional valve. Control high and low pressure from the HMI. Adjust seal time in 1/10 second increments directly from the HMI. Set independent thermocouple temperatures directly from the HMI. The iS2 allows a system operator to store specific seal recipes and even lock them for added protection.